You are invited to be guests at Ashleigh and Zach's Wedding Reception. Ashleigh wants everything to be perfect, but the odds seem to be stacked against her. Will Ashleigh’s dreams come true? 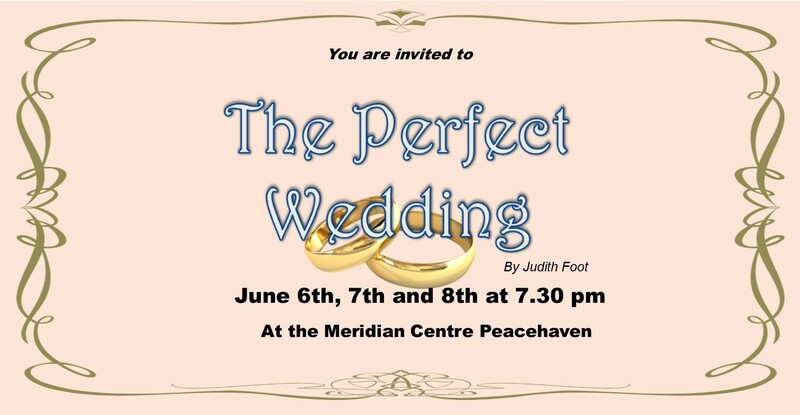 Find out by joining the wedding guests for an evening of hilarious comedy with music from the past and present. This is their reception so you may wish to dress for the occasion. You will be seated at tables which can take up to 8 guests. Tickets booked together will be allocated to the same table or you can book a whole table. If you book under different names, please let us know if you are part of the same party so that we can seat you together. A fully licensed bar will be open throughout the show.